Mailbox Monday is still on tour, with January’s spot being at Rose City Reader. 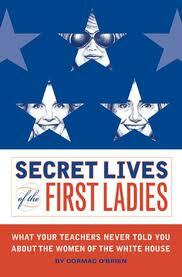 I received this book off of my wishlist on PBS after receiving Secret Lives of the U.S. Presidents late last year. Looking forward to reading both of these books.